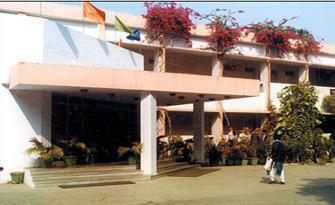 MPTDC Tansen Residency: This is a MPTDC Owned 3-Star Property. MPTDC Tansen Residency offers excellent accommodation facilities which include air-conditioned accommodations, multi-cuisine restaurants, lounge bar and Conference facility. Tariff: For A/c Deluxe Suites – Rs. 3290/- for single or double occupancy. This is a Heritage Hotel from Taj Group of Hotels. 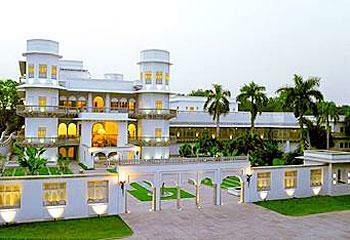 This 100 years old palace was transformed into a hotel and is spread over an area of 9 acres. 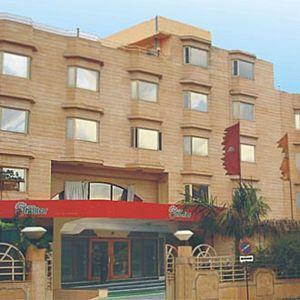 As the name suggests, this place offers royal accommodations and facilities. It is conveniently located in the heart of the city near the railway station. One of the best hotels, Hotel Shelter offers comfortable accommodation which includes the Maharaja Suites and luxurious facilities. Hotel Grace is centrally located in the city, just 500 meters from Railway Station. Hotel Grace offers its visitors excellent accommodation facilities with Deluxe rooms and Suites. This city is so strategically located that, it is easily connected to all the major cities and states in Madhya Pradesh and overall India. This place is roughly 423 km from Bhopal, 100 km from Jhansi and 122 km from Agra. It is just 321 km away from Delhi, making it one of the most accessible cities in India. Airport is around 8 km towards the North-east side of the City. Airport is also one of the major airports in Madhya Pradesh equipped with all the modern amenities and thus is one of the Best airports in Madhya Pradesh State. It is very well connected with all the major cities in India including Delhi, Jabalpur, Agra, Bhopal, Jaipur, Varanasi and Indore. For Foreign tourists, this Airport is connected via the Delhi Airport which is just 321 km from this city. From this Airport, tourists have the option of taking private taxis or State Transport buses for continuing their journey ahead in the city. Tourists who have accommodation arrangements already done with hotels get airport transports facility from the hotels itself. 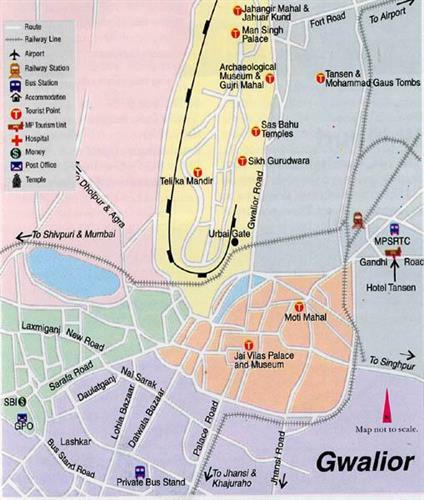 Gwalior Junction is conveniently located right in the heart of the City. It is very well connected with all the major cities like Mumbai, Delhi, Kolkata, Indore, Trivandrum, Udaipur, Pune, Bhopal, Bangalore, Ahmedabad and Udaipur to name a few by means of Direct Trains. This railway Station forms an important junction for most of the passenger and Long Distance Trains. Also, this Station forms an important link between the Broad Gauge Lines of Delhi and Mumbai. Additionally there are few other railway stations located within the city limits. These stations are connected to Gwalior Junction by means of Narrow Gauge Line and are named as Birla Nagar, Sithouli, Grasim Factory and Motijheel. These mentioned railway stations help passengers and tourists in reaching the nearby towns and villages of the city especially during Sightseeing and serve as the best Inter-City transport Options. By road, This city is conveniently connected to all the major cities and states of Madhya Pradesh and overall India by means of several National Highways which pass through the city. The National Highway No.3 passes through the city and connects to all the cities on the Agra – Mumbai Stretch. Additionally this place is also connected with Mathura via NH.3. It is also connected with Jhansi via NH75 which passes through the southern side of the city. Thus this place is connected to all the major cities in India by means of well-established road-routes. There are well-established bus services from many cities which ply regularly to this city. These bus services run from many cities including Jabalpur, Bhopal, Delhi, Indore, Jhansi, Jaipur and Agra to name a few.